George Ayoub Carpet uses hot water extraction method, the most effective cleaning solution for residential and commercial properties. 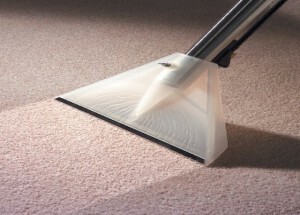 Many carpet manufacturers recommend the hot water extraction as the most effective carpet cleaning technique. Annual carpet cleaning is highly recommended for keeping carpets looking attractive and highly functional. George Ayoub Carpet sends out professional carpet cleaning technicians to examine the carpets to determine what products and equipment will work best for the job. Our technicians are trained to remove the toughest stains in any kind of carpet, says Jimmy Ayoub, the president of GAC. We have been in carpet cleaning business since 1987 and we have served thousands of customers in Sterling, Reston, Arlington VA and the surrounding areas. Our team specializes in both stain removal and deep cleaning to help remove tough stains and allergens trapped deep in the carpeting. The equipment that we use a system that is highly effective at removing dirt particles without harming the carpets, he added. George Ayoub Carpet recommends regular professional carpet cleaning at least one or two times a year because the longer a carpet goes without a professional cleaning service, the more stain and allergens can get trapped in the carpet. Professional carpet cleaning when done regularly can save homeowners the cost of replacing the carpets, and prolongs the life of the carpets. Contact George Ayoub Carpet at (703) 356-6186 or visit the website at Sterling Carpet Cleaning to find out more information. George Ayoub Carpet & Rug Care offers a wide selection of carpeting and contemporary rugs made by Shaw industries that will not only last longer but will also clean better in years to come. With the best installers in the industry, George Ayoub Carpet & Rug Care is proud to help beautify your home or office.